Step outside the El Paseo Hotel to charming Española Way, a pedestrian ramble with charming sidewalk cafes, restaurants, trattorias and lounges. As a guest of our hotel, you're staying in the culinary soul of South Beach, a few cobblestoned steps from an irresistible dining scene. Enjoy an al-fresco lunch or dinner at more than 15 restaurants with cuisines from around the world on Española Way. Whether you've got your heart set on Italian, Cuban, Mexican, or French, you'll find the best restaurant in South Beach right downstairs. Did we mention you'll enjoy 15% off of select restaurants on Española Way? 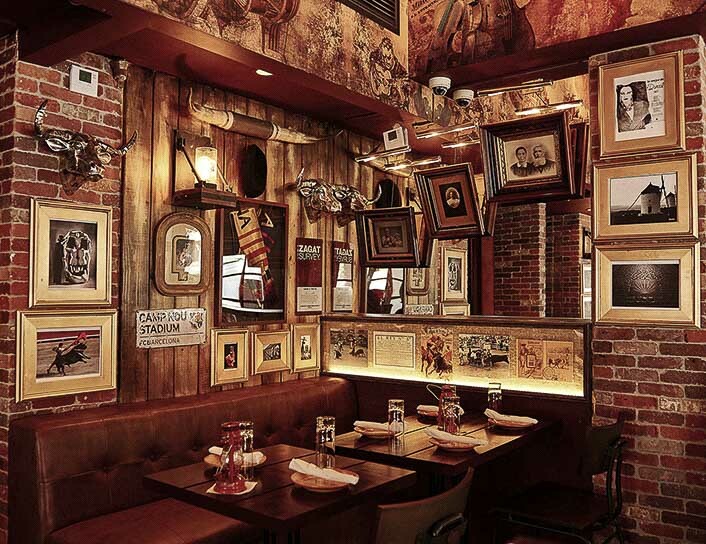 Flamenco dancers surrounded by exposed brick walls, banquette seating and vintage photos of flamenco dancers and bull-fighters create a cozy vibe. 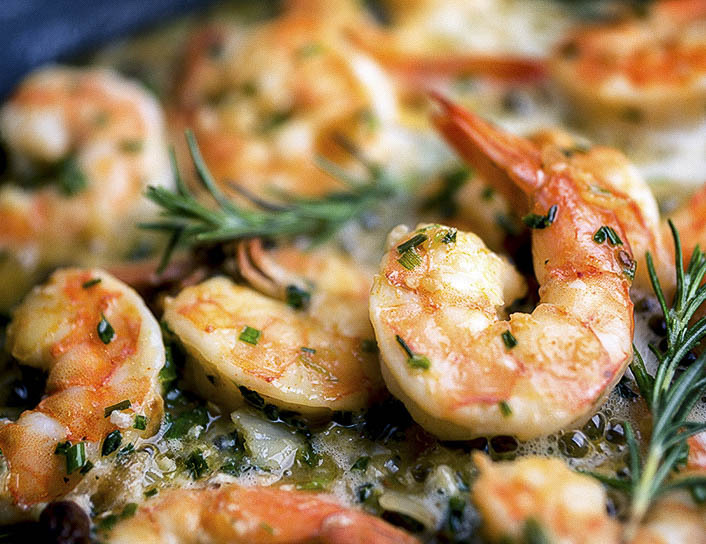 Enjoy tapas, seafood paella, authentic Spanish sangria served in a terracotta vase, and wine and beer. Reminiscent of a small Parisian café, A La Folie provides an authentic European ambience and traditional, yet approachable French fare. 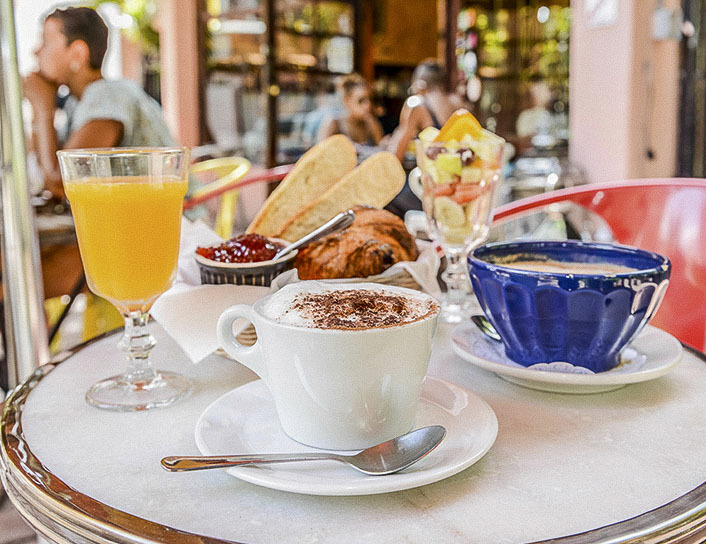 Enjoy morning coffee and croissant on ther casual sidewalk patio, or share dessert crêpes with a date under the stars. Stake your claim to a table on the sidewalk for great people watching, delicious Cuban cuisine and rum cocktails. 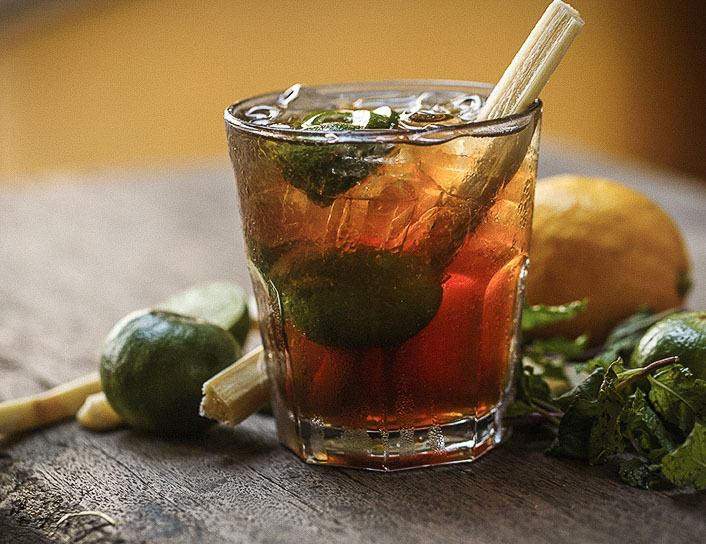 Head indoors to see the restaurant's collection of Old Havana memorabilia and swing by the rum bar for a toast to the old days. From the heart of Sicily, chef GianPaolo Ferrera's intimate trattoria serves traditional Italian cuisine inspired by his favorite family recipes. Hand-made pastas are just one reason this South Beach restaurant ranks #2 (out of 755 Miami Beach restaurants) on TripAdvisor. 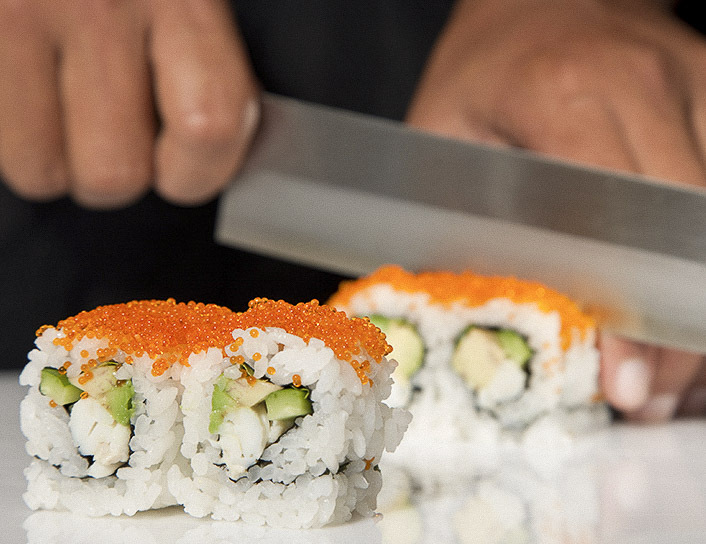 If you love sushi, this is one of the best restaurants in Miami Beach for Japanese food, hand rolls, sashimi and small plates served in a stylish setting. A popular late night spot (open until 5 am), Moshi Moshi draws crowds of sushi lovers and celebrities. 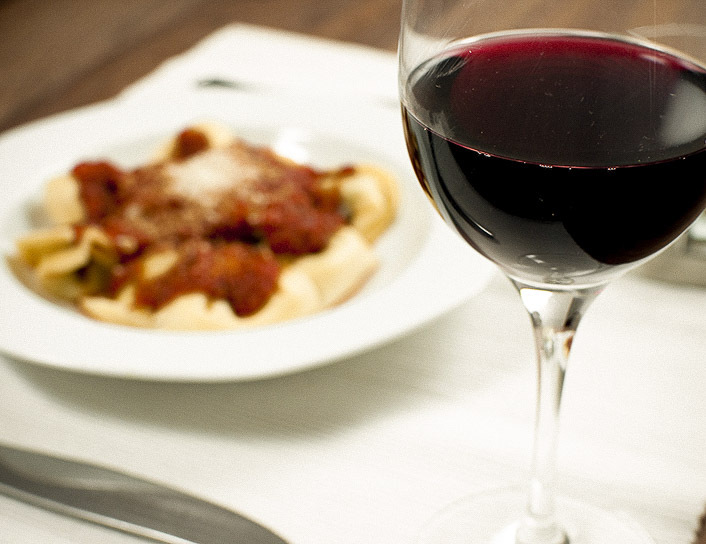 This lively trattoria located right on Española Way dishes up some of Miami's best Italian cuisine. Indulge your taste buds with indoor and outdoor sidewalk dining, paired with fresh fruit martinis, classic cocktails and wines by the glass and bottle. 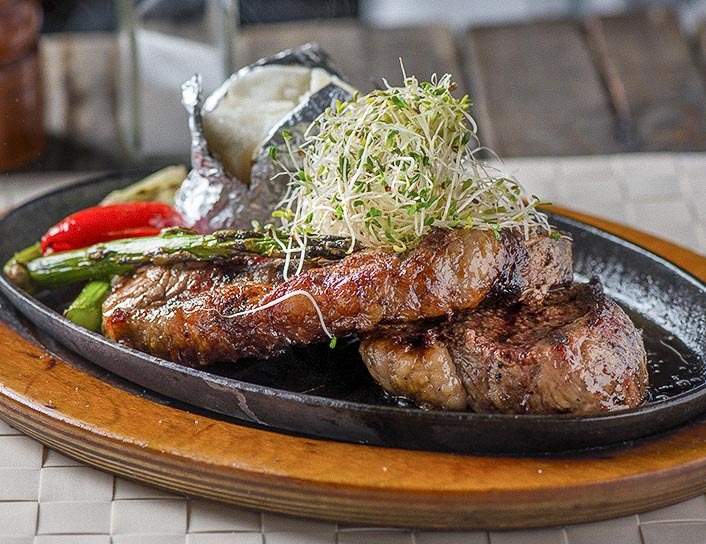 Enjoy the bold cuisines of Brazil and South America at this popular Miami Beach restaurant and tapas bar where waiters happily share recommendations for their favorite dishes and drinks. Sit indoors or on the colorfully lit sidewalk patio on Española Way. Claudio Giordano's third Miami Beach restaurant wows guests with its extensive menu featuring locally sourced seafood, organic meats, and house-made pastas. Enjoy indoor seating or dine on the romantic patio on Española Way. Mare Mio is a not to be missed Miami dining experience. This casual Mexican restaurant on the corner of Española Way and Washington Avenue has been a popular eatery for over 20 years. 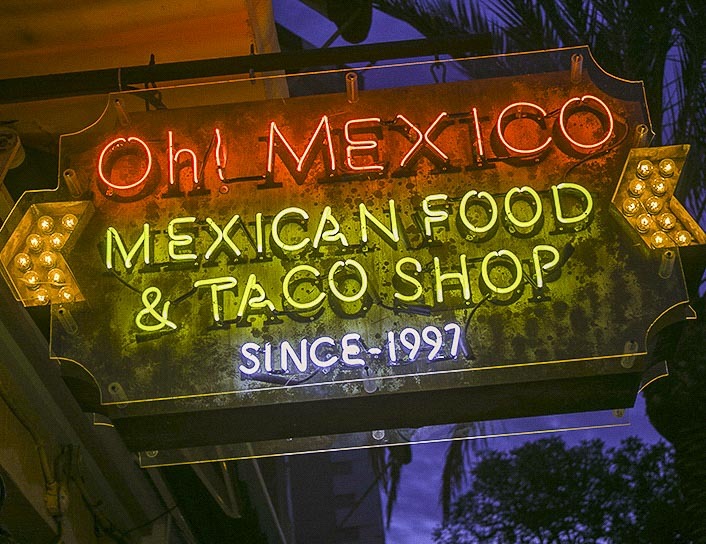 Oh Mexico serves authentic Mexican cuisine, including Mezcal cocktails, house-made margaritas, and micheladas. Late night pizza craving? 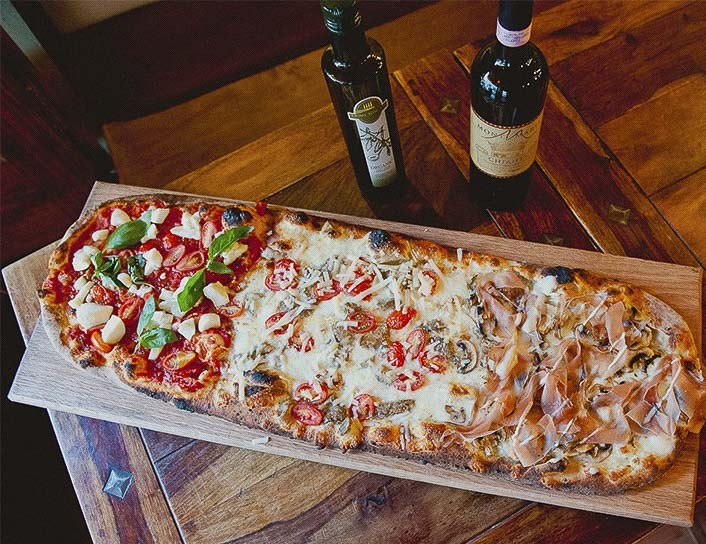 The Miami outpost serves wood-fired Neapolitan pizzas that wow fans with their chewy, smoky, crusty goodness. The recipe, handed down through five generations, is top-secret. 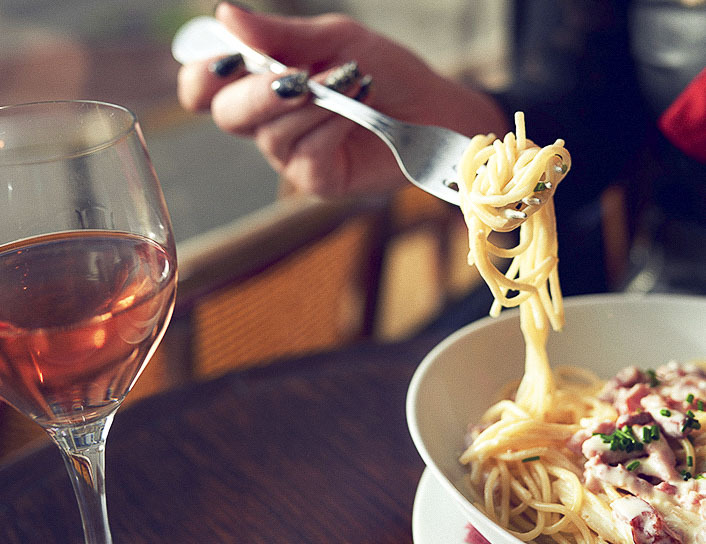 Stop in for handmade pastas, appetizers, mains and salads.